Panarchy is a co-ed undergraduate society at Dartmouth College in Hanover, NH. It’s housed in a large, white, column-fronted residence that dates back to 1835. 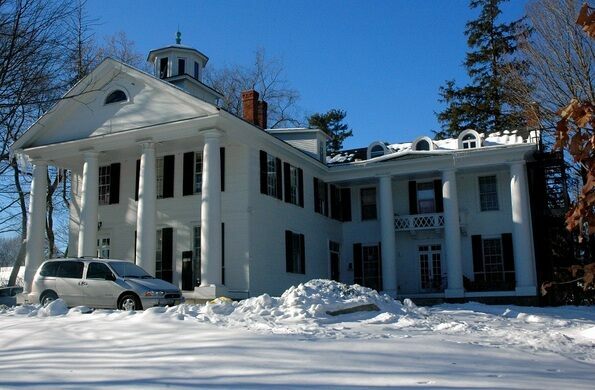 Originally, the historic house was a private home. From 1902 on, it housed various Greek organizations until being taken over in 1993 by Panarchy, an officially school-recognized society outside of the official Greek system. 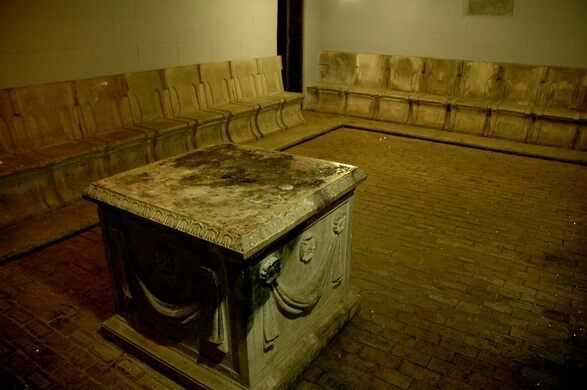 At some point in the history of this privately held residence, the occupants constructed an underground chamber in the basement of the house that is rimmed in concrete seats, all inscribed with either names or years, dating back to at least 1897. 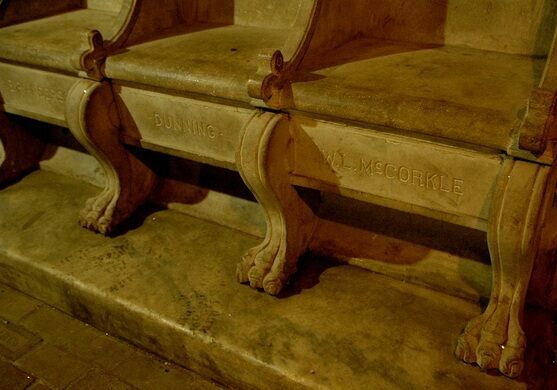 Three adjacent seats are more like small thrones, with clawed feet, higher backs, and bearing the names E. R. Anderson, Dunning, and W. L. McCorkle. The only other feature of the room is a concrete altar sculpted with flowers and sashes.